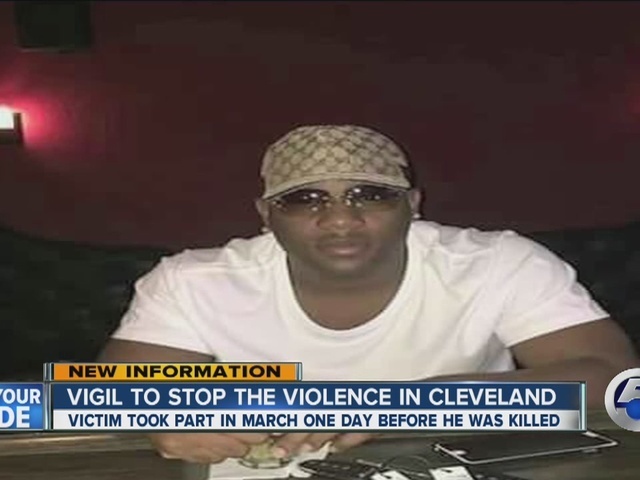 The victim of a deadly drive-by shooting Saturday afternoon had rallied to end violence the day before his death, friends said at a vigil Sunday evening. Dante Padgett, 30, and his 10-year-old son were shot while stopped at a red light on Martin Luther King, Jr. and Shaker Blvd. Saturday afternoon, police said. Sunday, friends of Padgett gathered at a plaza near 40th and Quincy to remember a man they said was fighting to put an end to senseless violence in the city, marching with the group and his son during an End the Violence rally on Friday. "He was a great guy," said Marvin Weakley. "He helped any and everybody out, whatever you need, he was there." Padgett's son is in stable condition at Rainbow Babies and Children's Hospital. Police believe the shooter may have been in a white four-door vehicle. No other suspect information has been released.